I completed the Gong ride for the fourth time yesterday and thought it timely to tell you about my experience in the hope that it will encourage more female cyclists to participate in future events like this. Each state around Australia has these types of events that are run annually. Firstly, it was all good from my perspective so don’t be expecting to read some gruesome tale here. Beautiful conditions – warm and very little wind. I did the Gong ride for the first time in 2008 about five weeks after I’d started riding so you can imagine that three years later it seemed like a completely different experience. My first attempt was the shorter version from Heathcote to the Gong which was about 55 km. My second and third times were the full event which is advertised as 90 km but is really only 85 km long. I say ‘only’ because while it seemed like an awfully long way back in 2009, it actually just feels like a nice ride to me now. I’m not saying this to show off but to demonstrate that after a few years of riding everything seems to get that little bit easier. That probably only applies if you ride consistently over that time which I have and if you’ve also increased the amount of riding you’ve been doing over that time. The Gong ride starts in St Peters just south of the city of Sydneyand I was there on the start line at 6 am ready to go. I know it sounds awfully early but it is worth getting there for the earliest start time. I would recommend this even if you are allocated a later time (the organisers won’t like me saying this) but it’s much better going out with the first group because it just gets too crowded later. The first section is pretty slow because you are all pushed into one lane of the Princes Highwayand have to keep stopping at red lights. After you get off the highway it becomes a whole lot more enjoyable as you can start to gather some pace. I rode the whole event with my friend Bec (thanks Bec) and it was great to support each other. I would definitely recommend you find a buddy or even a group who rides at a similar pace to you and talk about your plans before you start the ride. Discuss whether you plan to ride together or whether you’ll just meet up at the drink stops, at the end or whatever suits you. You might also be riding with a group so make sure you discuss your expectations of each other before you take off. My partner Phillip also rode yesterday but we were in agreement from the start that we’d meet in Wollongong rather than riding together. After we passed the airport and got off the Princes Highway the ride started to feel like fun. It’s fairly flat until you reach the first big down hill about 25 km into the ride. As you would expect it is complemented with an uphill to match. It is one of those that just keeps going up and up. The big downhill leading into it allows you to get a bit of momentum to get up the other side. The next hills we encountered were the big downhills into the Royal National Park. It’s very picturesque but also pretty steep so I took quite a lot of care to descend. Some riders speed down there (particularly male riders) so if you’re like me and descend more slowly it is best to keep to the left and if you’re going to slow a lot then check who is behind you and advise them that you’re ‘slowing’ or ‘stopping’ before you do it. The National Park is really lovely and once you’ve gone down such a big hill you obviously have to go back up but it’s pretty staggered so is not too bad. The next challenge is the steep descent just after Stanwell Tops. Once again I was fairly cautious without being a menace. I hope so anyway. I did pass a few riders who were going slower than me so I reasoned that I wasn’t going too slowly. The rest of ride was really nice. Beautiful weather and not too many riders around us. Highlights included the Sea Cliff Bridge near Coalcliff and the final section where you follow the seafront. We also had two brief stops along the way to go to the toilet and to eat and drink. It’s definitely a great idea to stop, get off your bike and stretch your legs. Some riders stop very little and drink and eat on the bike. It’s a personal choice as to how you handle it. Just remember that it’s a ‘ride’, not a ‘race’. I would certainly recommend the Gong ride to novice women riders. It provides a good training goal and is really enjoyable. The train trip home isn’t so great but it’s still worthwhile. I’d love to hear how other women riders found this year’s Gong ride. Previous Post:Female road cyclists – What should I wear? Loved the story – thank you for sharing it. Loving the blog. Keep up the great work! Thanks for your great company and support on Sunday! I read something recently from a famous marathon runner (Kevin O’Rourke). He made mention that the world’s greatest composers weren’t writing symphonies the day they first sat at a piano. I really liked the comment as it made me think of cycling (and all sports in general). We all start somewhere but how good it feels to see improvement. Thanks to your help this year, I managed to complete the gong ride 30 minutes faster than last which felt great (I’m still not writing symphonies on or off the bike though!!!). I love your blog… I am glad to see there are so many more women taking cycling and enjoying it so much! I have registered for Ride to Conquer Cancer (I am a cyclist and a cancer survivor) and look forward to raise money for the 200Km Ride! I hope I can make it…. Keep up your great work! Patricia. It’s great to get your feedback. 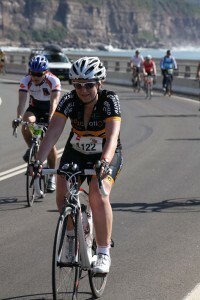 I’m also thinking of doing the NSW version of that ride in October 2012. Three of my female riding buddies have mentioned it to me so maybe we’ll enter together. As long as you train enough you should have no trouble doing the 200 km. 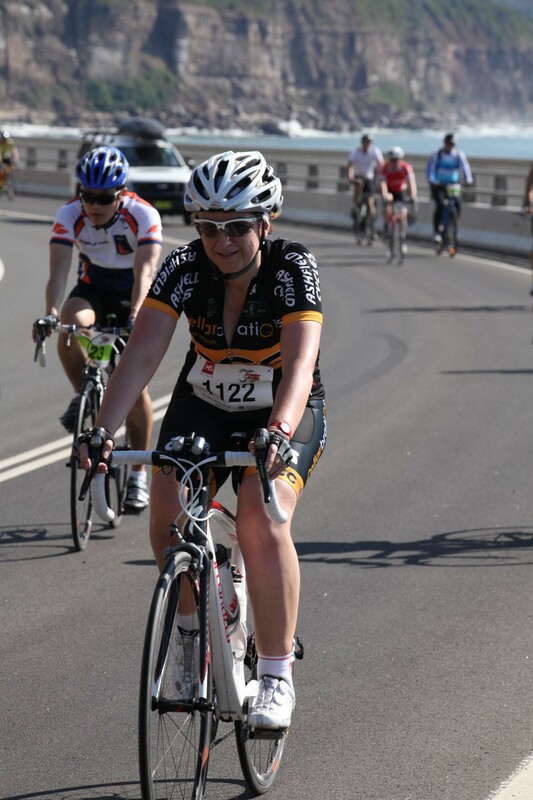 I did the 210 km Around the Bay last year in just one day and lived to tell the tale.